English text adjacent to the German translation. 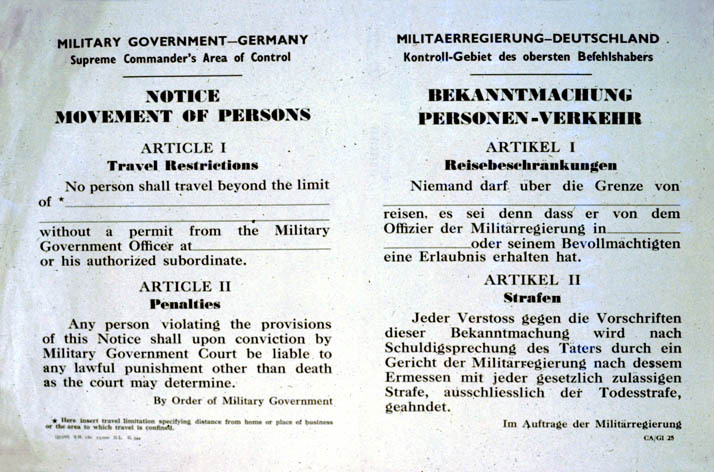 Poster Text: MILITARY GOVERNMENT - GERMANY / SUPREME COMMANDER'S AREA OF CONTROL / NOTICE / MOVEMENT OF PERSONS / . . .